“In some developing countries, where infectious diseases are very high, the reduction in mortality has been up to 80 percent,” says Michael Mina, a postdoc in biology at Princeton University and a medical student at Emory University. “So it’s really been a mystery — why do children stop dying at such high rates from all these different infections following introduction of the measles vaccine,” he says. Now there’s an obvious answer to the mystery: Children who get the measles vaccine are probably more likely to get better health care in general — maybe more antibiotics and other vaccines. And it’s true, health care in the U.S. has improved since the 1960s. But Mina and his colleagues have found there’s more going on than that simple answer. “We found measles predisposes children to all other infectious diseases for up to a few years,” Mina says. “The immune system kind of comes back. The only problem is that it has forgotten what it once knew,” he says. So after an infection, a child’s immune system has to almost start over, rebuilding its immune protection against diseases it has already seen before. This idea of “immune amnesia” is still just a hypothesis and needs more testing, says epidemiologist William Moss, who has studied the measles vaccine for more than a decade at Johns Hopkins University. But the new study, he says, provides “compelling evidence” that measles affects the immune system for two to three years. That’s much longer than previously thought. 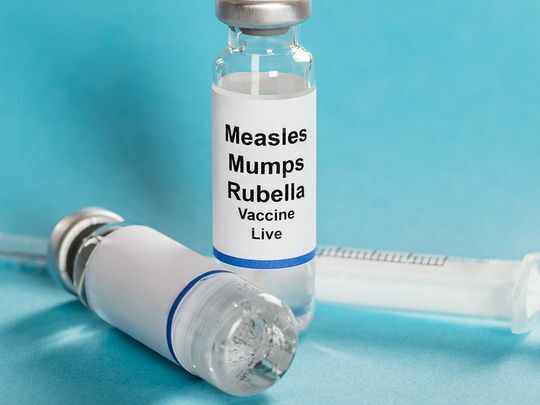 “Hence the reduction in overall child mortality that follows measles vaccination is much greater than previously believed,” says Moss, who wasn’t involved in the study.